Thank you for sending your quote for 150m2 of external blockwall in a new build with 10 windows, 2 small windows and 2 patio doors. You need to be organised, expert, absolutely clean (not messy! ), be able to work with other trade, a good attitude is a must. Ideally a gang of 3 block-layers + 1 or 2 laborers. 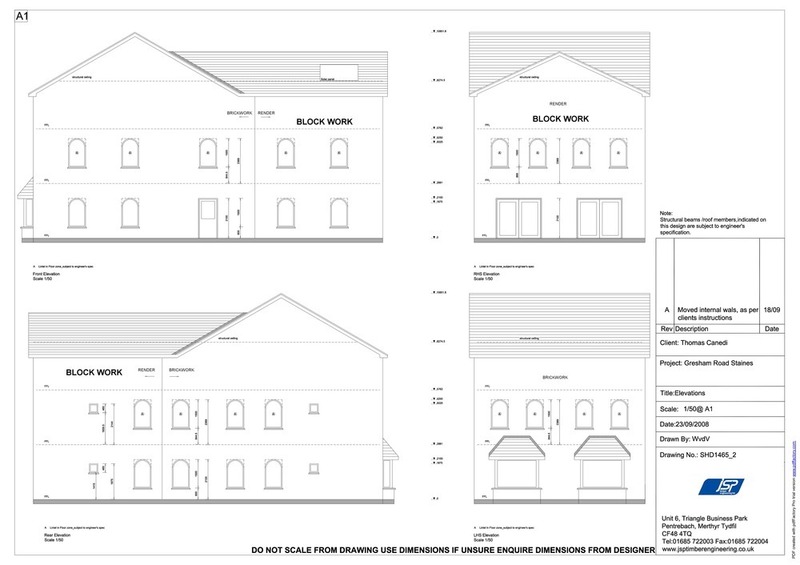 Please see here attached the drawing of the elevation. Please note, brickwall already in place. Looking to start asap. The following information was added Monday, 26th January, 2009 : Scaffold already in place. Ricky is a good lad with a good attitude, but I am not entirely satisfy with his blocklaying some banal imperfections could have been avoided with a bit more concentration and attention (or less distractions).